← This African ISP commercial may be the best amateur radio promotion. Ever. 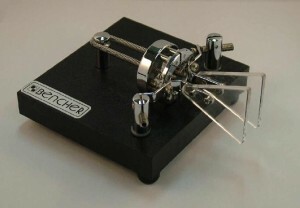 Bencher, Inc. of Antioch Illinois announced the sale today of the Bencher Amateur Radio product lines to Vibroplex, LLC of Knoxville, Tennessee. This sale ends Bencher’s presence in the amateur radio field, thus allowing the principals, Jere Benedict, President, and Bob Locher, (W9KNI) to move towards retirement. Vibroplex will continue to offer the Bencher products through existing marketing channels. Vibroplex may be contacted at http://www.vibroplex.com, or at (865) 309-5073. Jere Benedict and Bob Locher wish to express their gratitude to the amateur radio community for its interest and support since the sale of the first Bencher amateur radio products in the early 1970’s. This entry was posted in CW, News, Product Announcements and tagged Bencher, Scott Robbins, Vibroplex. Bookmark the permalink.